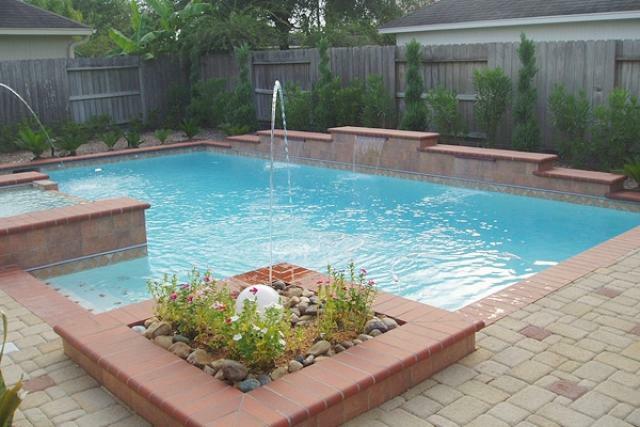 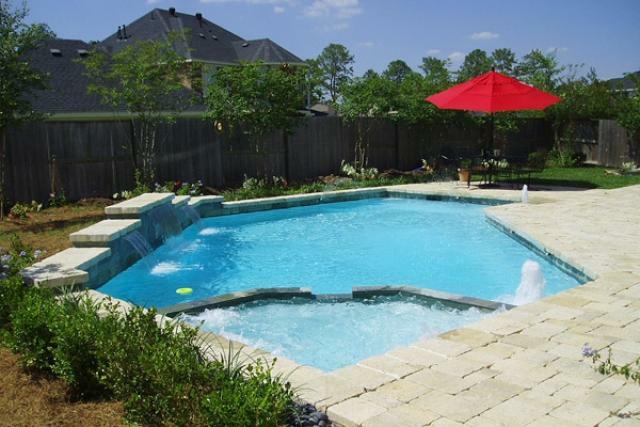 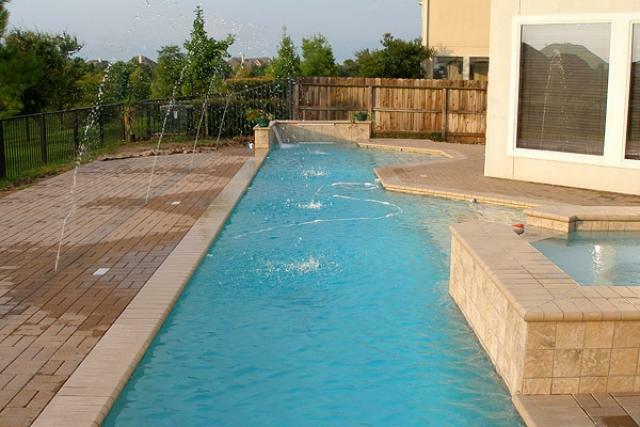 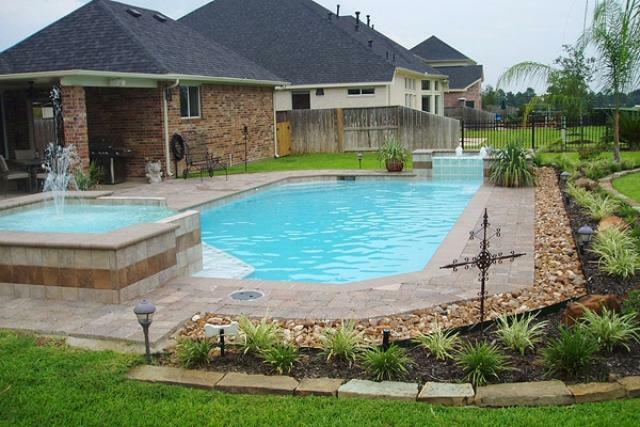 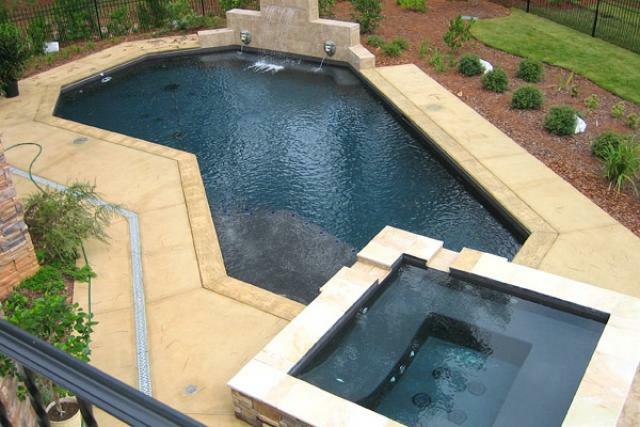 A geometric pool doesn’t automatically mean “rectangular.” There are a lot of ways to begin with a rectangular design and augment it to accomplish the goals of its owner. 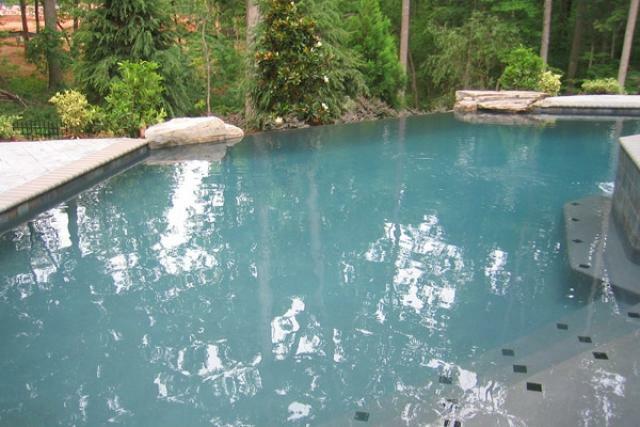 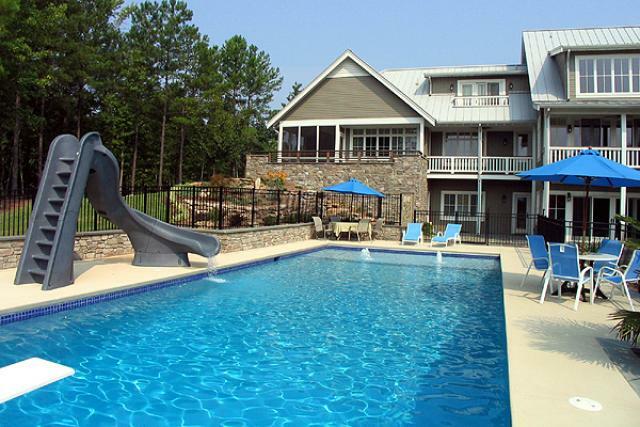 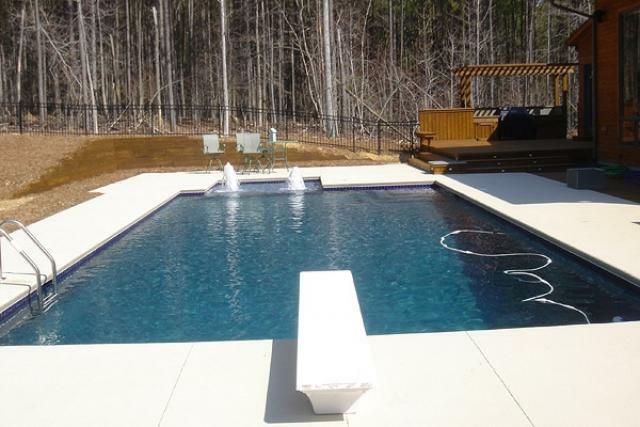 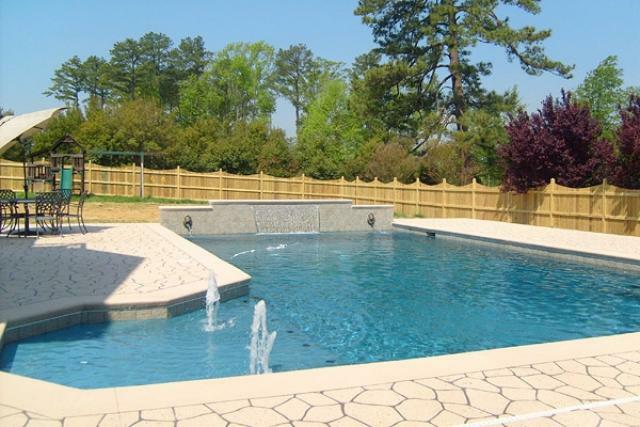 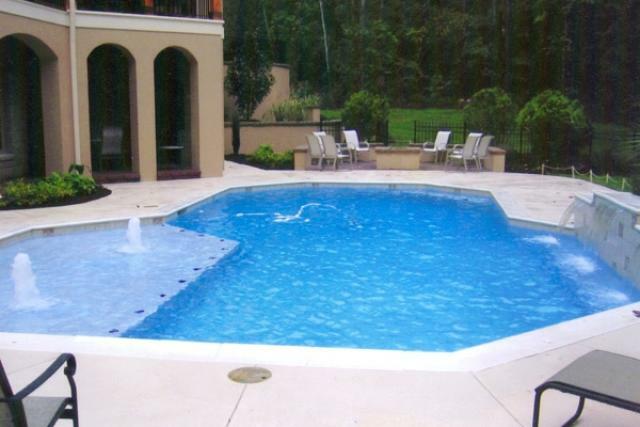 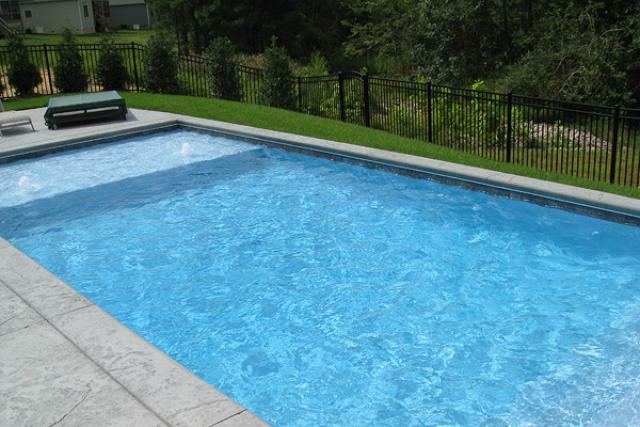 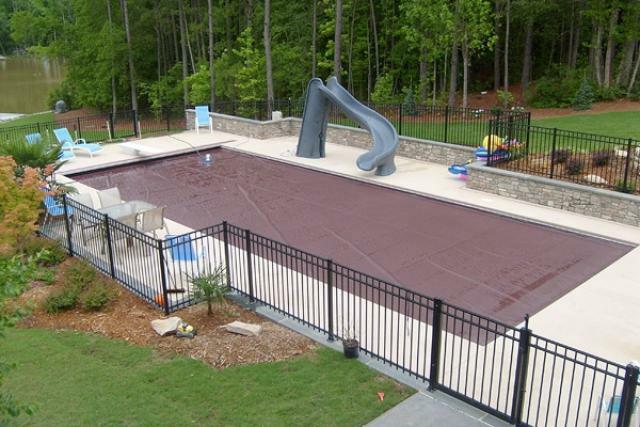 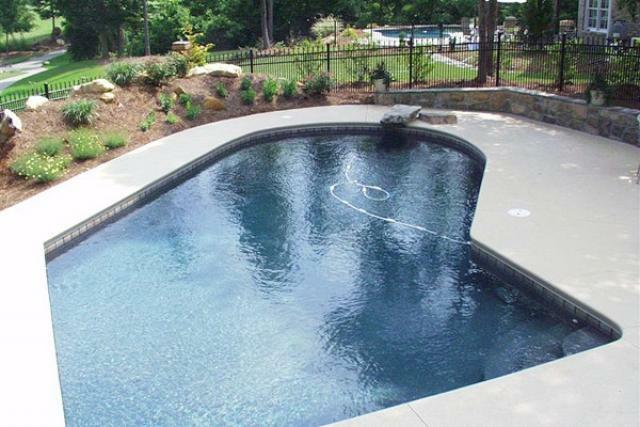 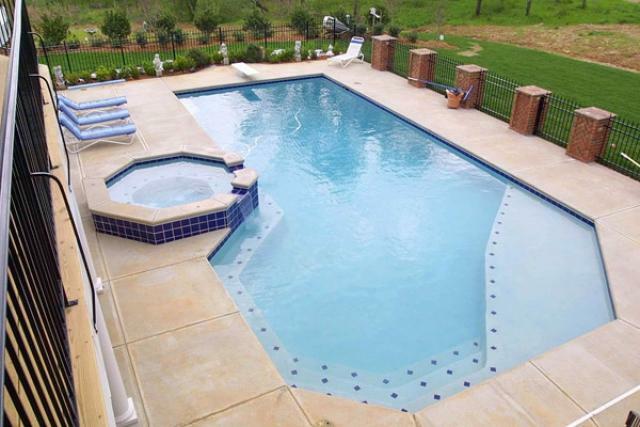 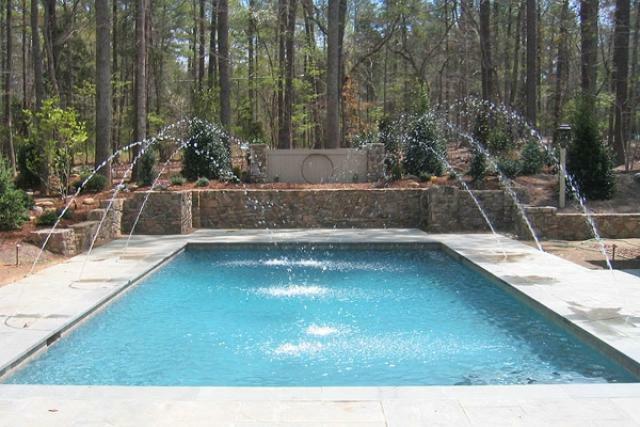 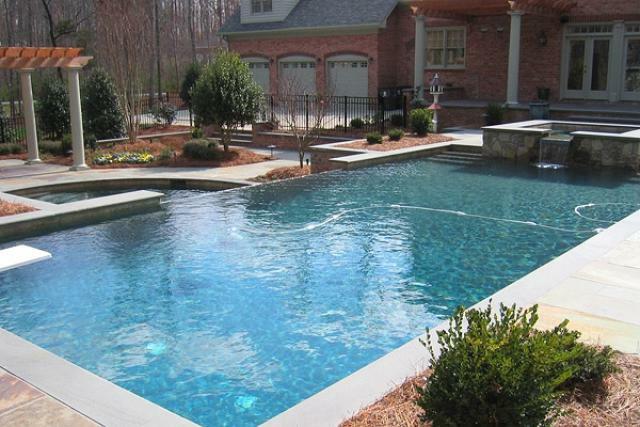 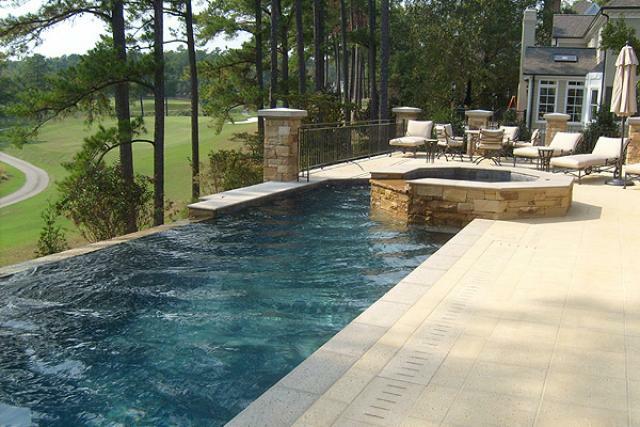 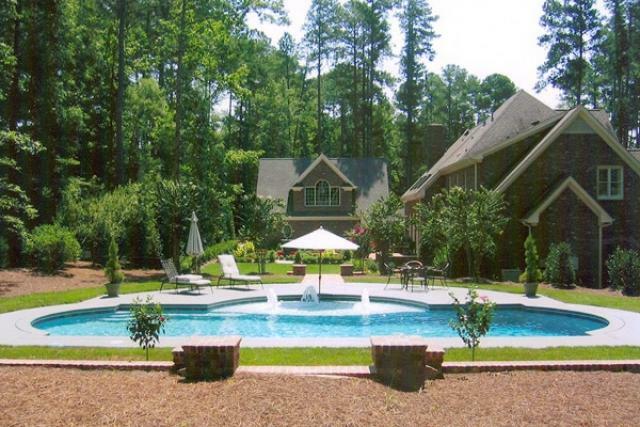 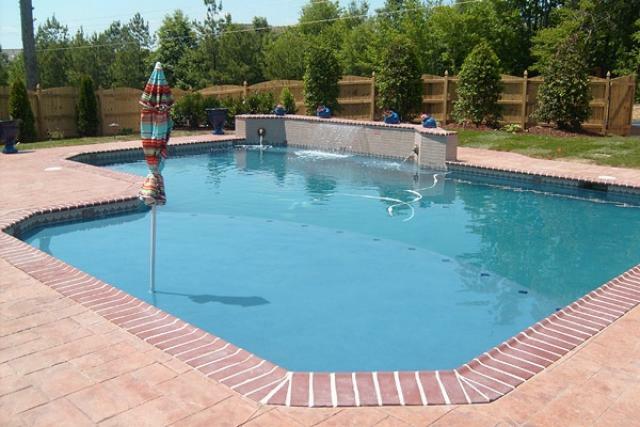 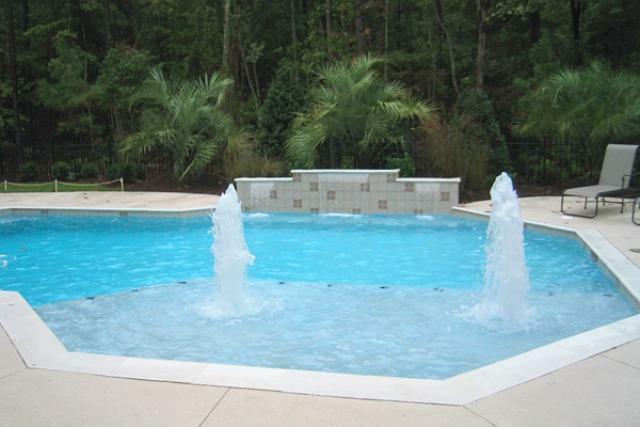 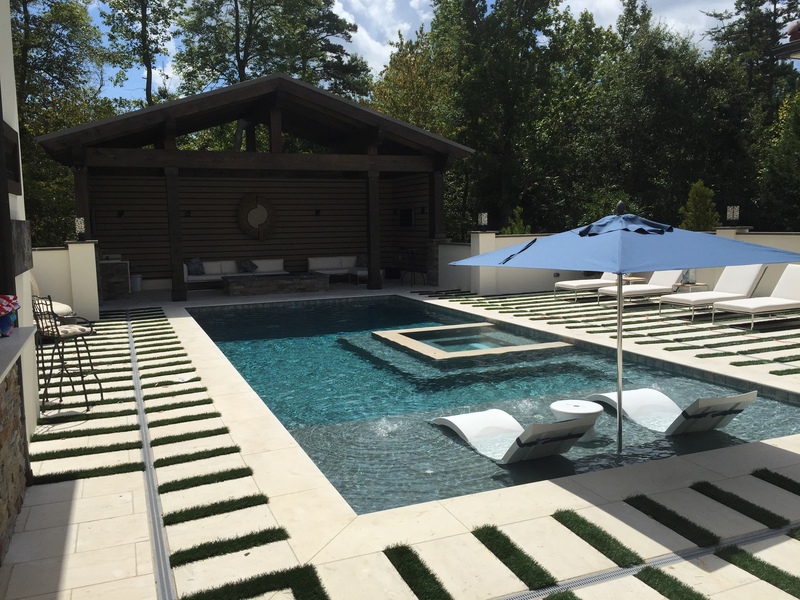 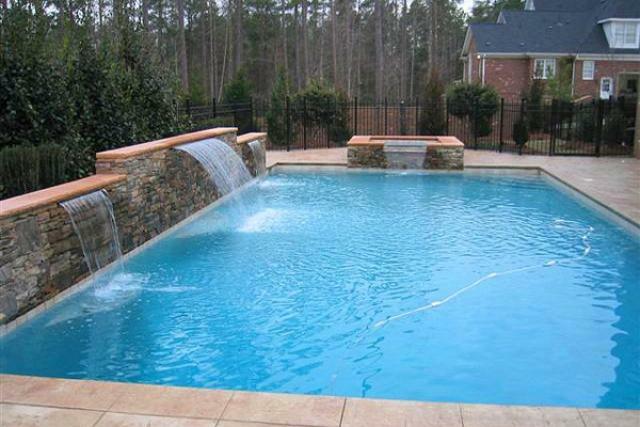 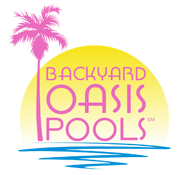 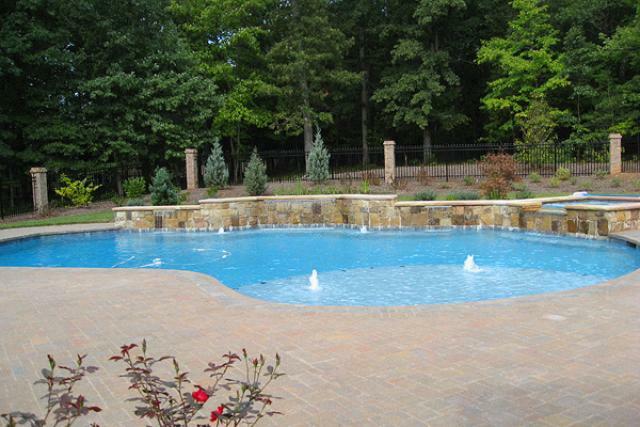 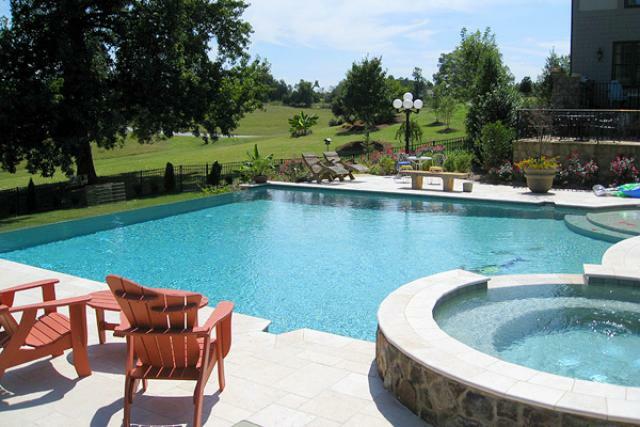 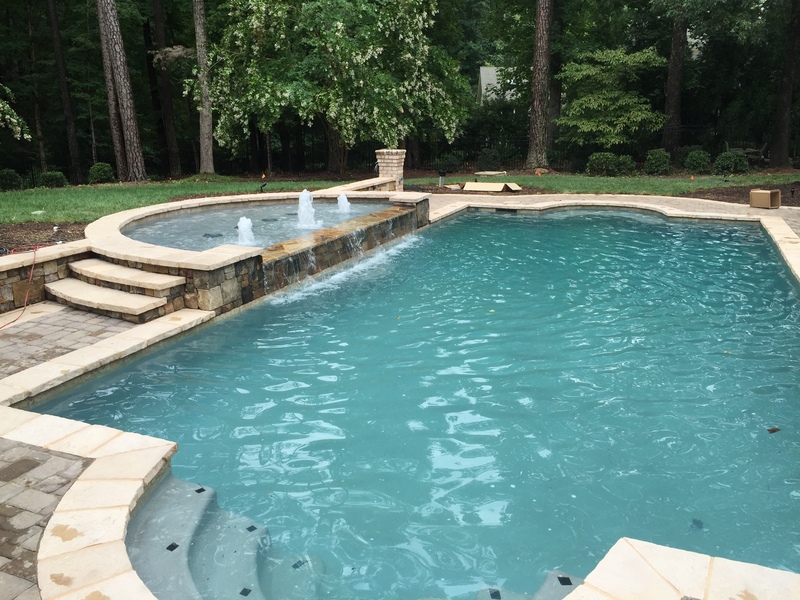 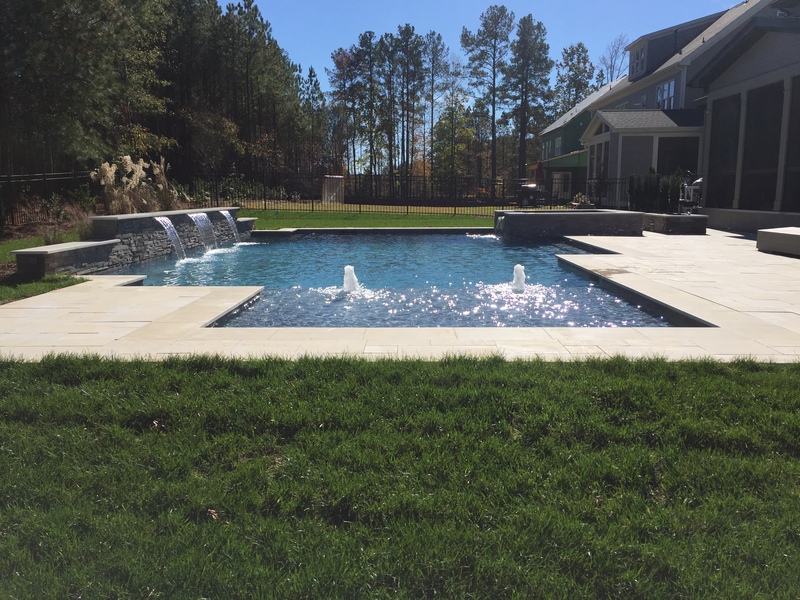 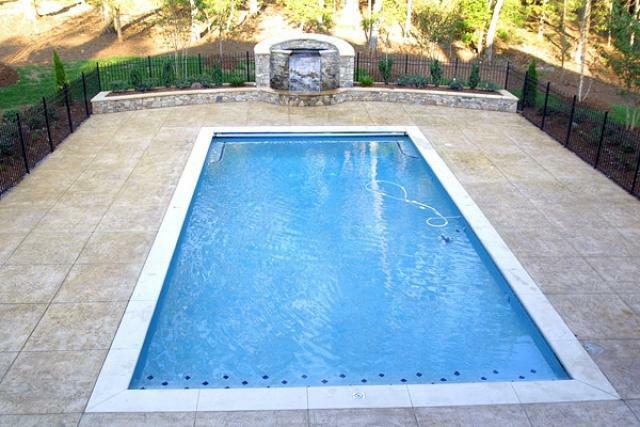 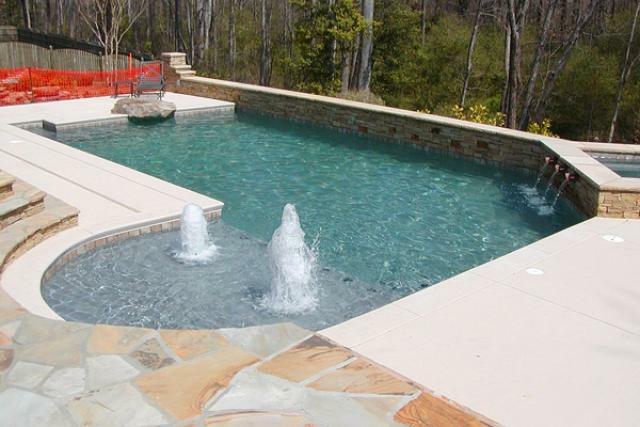 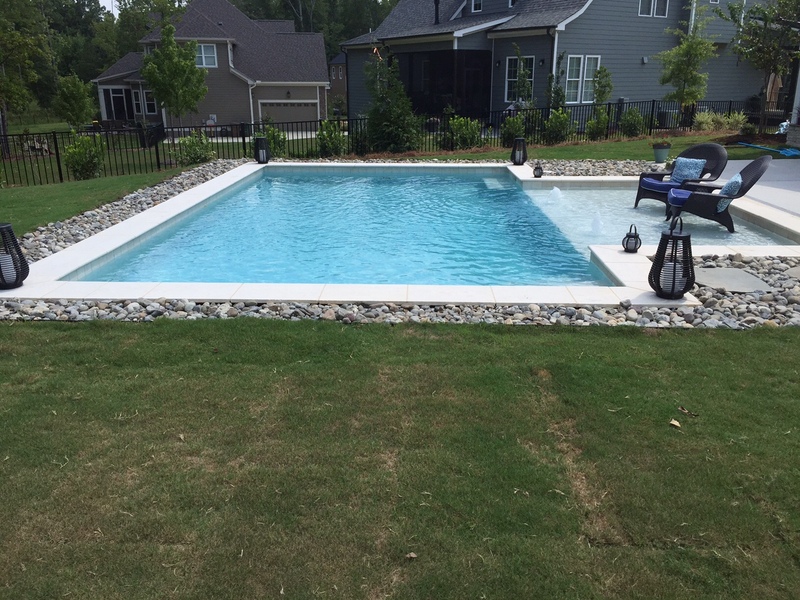 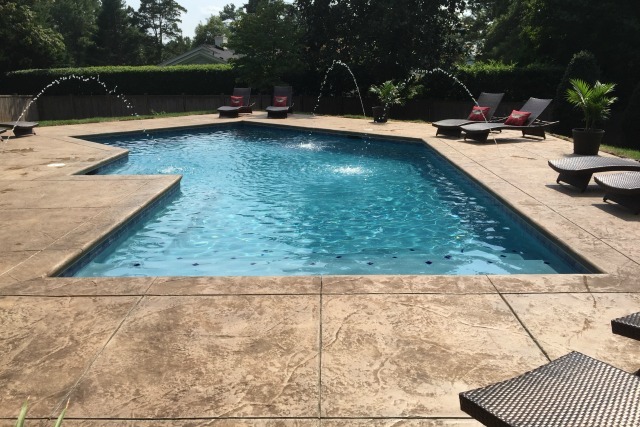 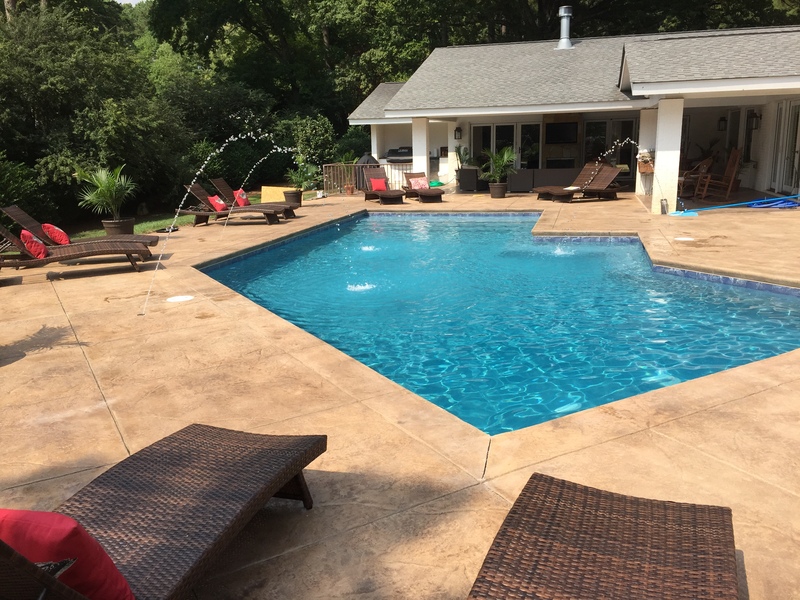 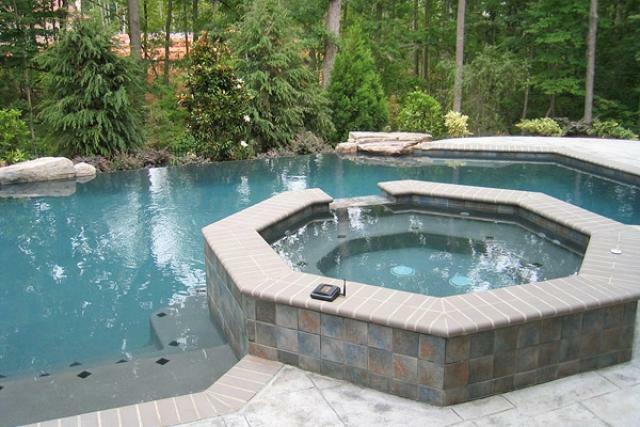 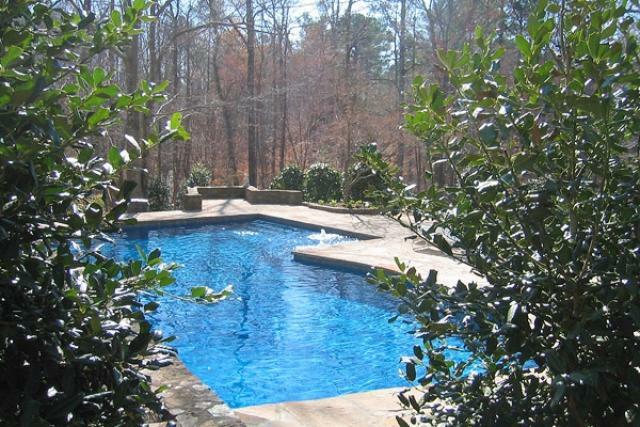 Here are some examples of geometric pools we’ve created over the years in Raleigh, Cary, Chapel Hill, Durham, Wake Forest and throughout the Triangle NC area. 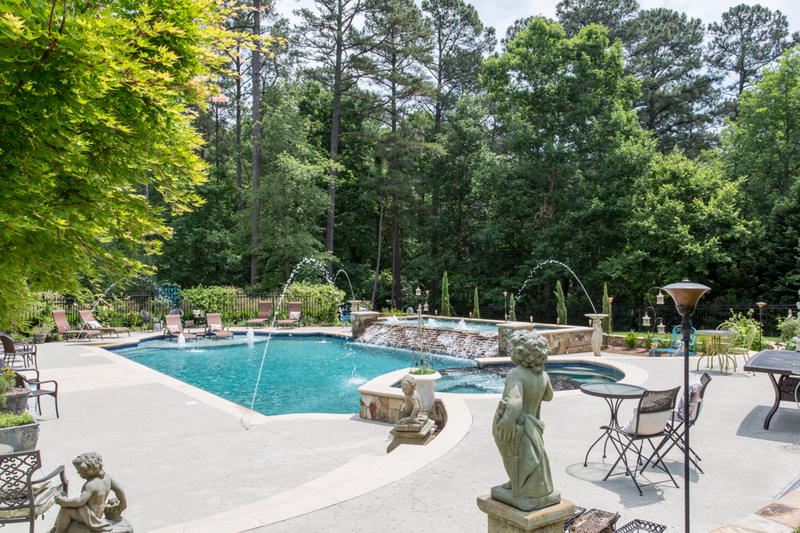 We invite you to browse through our collection, make note of your favorites and then contact us by Free Consultation Form, email or phone at 919-556-7227 so that we can discuss your plans and help you realize your dreams.